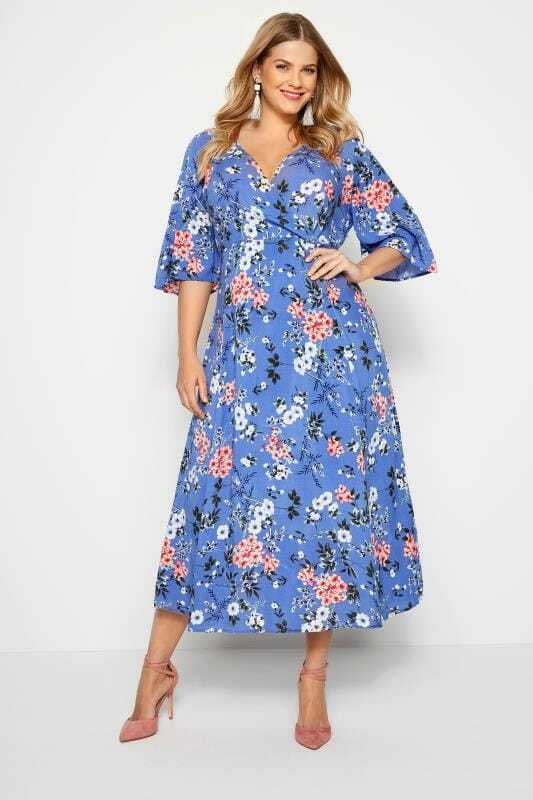 Ideal for providing extra coverage to your look, shop our range of plus size sleeved dresses in US sizes 14 to 34. Offering a variation of short sleeves, ¾ length sleeves and long sleeves, choose from a selection of colors, prints and fabric finishes to find your perfect look. Casual dressing calls for relaxed shapes and comfortable fabrics. Our range of plus size jersey dresses are available in a range of sleeve lengths, colors and styles. Choose from waist-defining skater dresses or figure-skimming swing dresses for an on-trend look. Team with tights, sneakers and a denim jacket to finish the outfit. 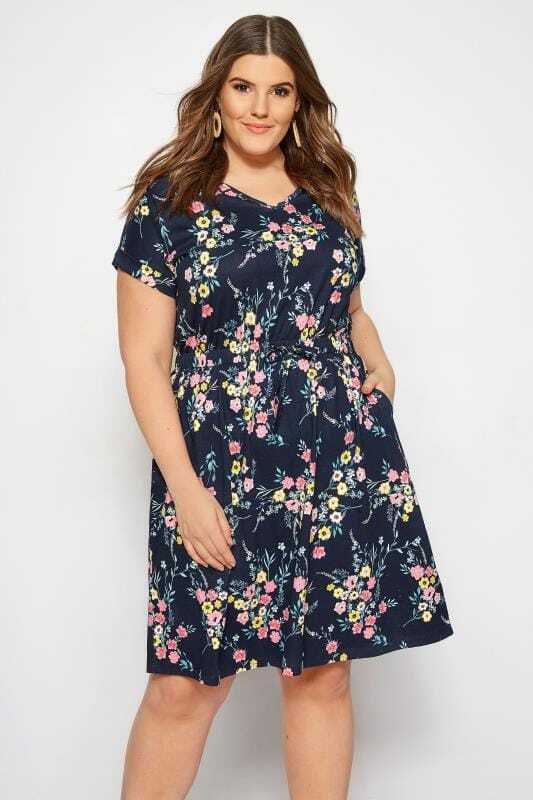 Browse our range of plus size dresses with sleeves for a sophisticated, chic evening look. This season we’re loving lace yokes, embroidered mesh and pops of color. 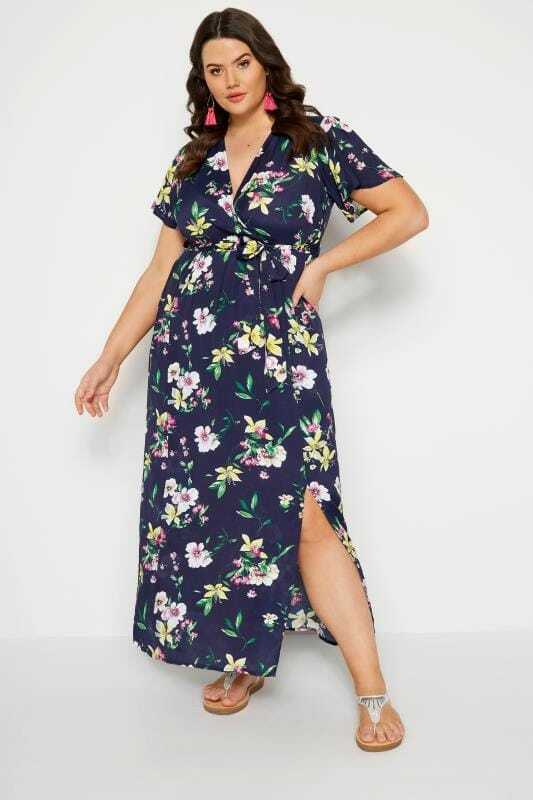 If you’re going out-out, we’d advise going for sequin dress with sleeves, or for more formal occasions, check our range of plus size maxi dresses with sleeves.